The internship at Jiwa Damai is a unique experience. We always invite our interns to write an evaluation of their project and learning and an evaluation of their personal development, at the end of their stay. You can read here the thought of Rene, our intern, on her project at Jiwa Damai. During my time at Jiwa Damai, I used the Permaculture garden facilities and the knowledge of other volunteers in order to explore my interest in nutrition. This is the month of the Moringa at Jiwa Damai so here is one of our favorite receipe. The Moringa Soup. Put all ingredients but the Moringa in a pot and let simmer for 20 minutes. Add the Moringa after 20 minutes, and let simmer for another couple minutes, until Moringa is bright green. Soup is now ready to serve. The soup can be eaten as is or served over brown or white rice, with the soup juice poured over the top of the rice for flavor. We offer Moringa at Jiwa Damai along our local products. Some studies conclude even that the Moringa leaves are a potential solution as natural anti cancer nutrient. Further investigation is, however, necessary to confirm for its use in the cases of clinical anticancer activity. 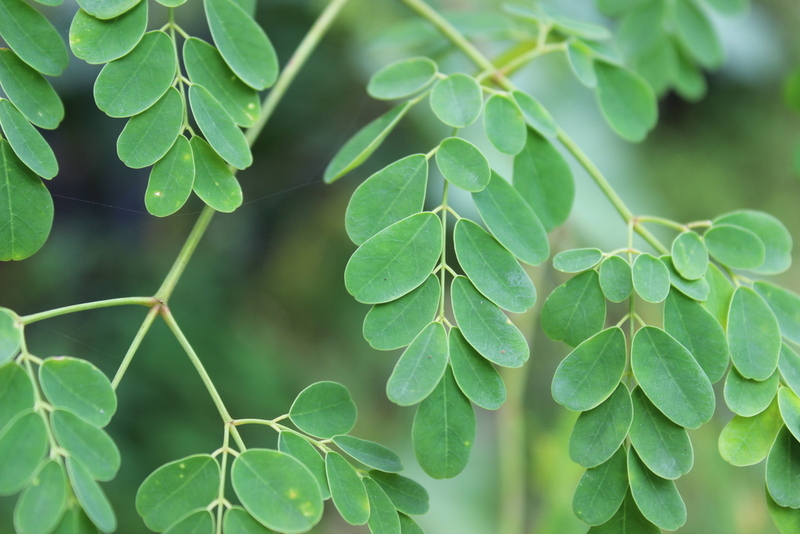 Other studies have also showed that the Moringa leave extract have a positive effect on treating human breast cancer. The Moringa leaf is believed in fact to contain twice the protein of yogurt, four times the calcium of milk, three times the potassium of bananas, four times the vitamin A of carrots, and seven times the vitamin C of oranges. The seedpods, flowers, seeds, oil, roots, leaves, and dried leaf powder can be used in different ways for consumption. Moringa can grow several feet in a short timeframe and this is due mostly to the effects of Zeatin, a plant hormones that induces cell division, growth, and delay aging of cells. Zeatin is also linked to anti-aging or the slowing down of aging processes in the human body therefore being through the consumption of the Moringa a more natural way to support skin health by regenerating new skin cells. At Jiwa Damaiwe offer the Moringa leaves. Have a look at our products here. Or read more about the powerful benefits of Moringa here and here. Much of the Moringa plant is edible by humans or by farm animals. The leaves are rich in protein, vitamin A, vitamin B, vitamin C, and minerals according to recent studies. A 100-g portion of fresh Moringa leaves has 9.3 g protein, 434 mg calcium, 404 mg potassium, 738 mg vitamin A, and 164 mg vitamin C.
Moringa oleifera has all essential amino acids, beneficial fats and omega oils. Moringa is rich in calcium, iron and many other minerals, as well as a variety of vitamins, antioxidant and anti-inflammatory substances in big quantities but very few calories attached to it. Also, the Moringa extract, thanks to it’s high antioxidant activity can be a potent cancer cell anti-proliferation. This has been shown by recent medical research, indicating the potential medical value of the Moringa in treatments of cancer as chemotherapy and chemoprevention. At Jiwa Damai we offer the Moringa leaves. Have a look at our products here. The name Moringa is derived from murungai, the Tamil/ Muringa Malayalam word for drumstick. In Africa is also known as Kpashima or Argentinga, in South America and Caribbean as Liberdad or Mawonga and in Asia as Saisam or Mulungai. Most commonly is known as Moringa Oleifera. The Moringa tree is native to the tropical and subtropical parts of Africa and Asia and is the sole genus in the flowering plant family Moringaceae. 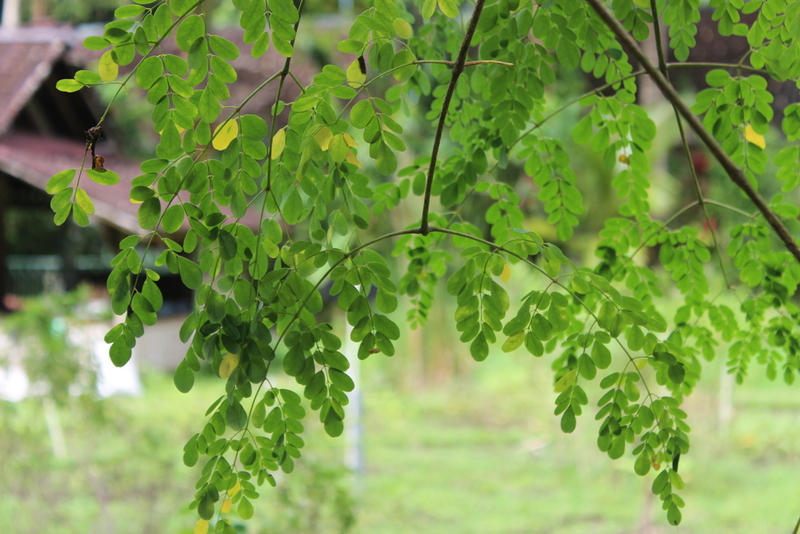 Adaptation: Moringa grows in tropical and subtropical regions, from cuttings or from seed, the ones coming from the local trees having a better chance of propagating. The Moringa plants can be grown as a monoculture, multi-cropping or as hedgerow in farm. It is suitable for urban garden in warm climates due to having distinctive flower colors, white and yellow. The plant can produce leaves and flowers for consumption in short time, from eight to twelve months. The seeds have no dormancy periods and can be planted as soon as they are mature.